Who Contested? Who Won? Where? How many Votes they Got? What is their official Asset value now in 2014? Finally the Elections Results are out. The World’s Largest Democracy has completed yet another general election. Mr.Narendra Modi will be the New Prime Minister. The people of India have huge expectation from their new Choice! Let us wait and watch. Here are the detailed statistics for you all. The Lok Sabha, the lower house of the Parliament of India, is made up of Members of Parliament (MPs). Each represents a single geographic constituency. 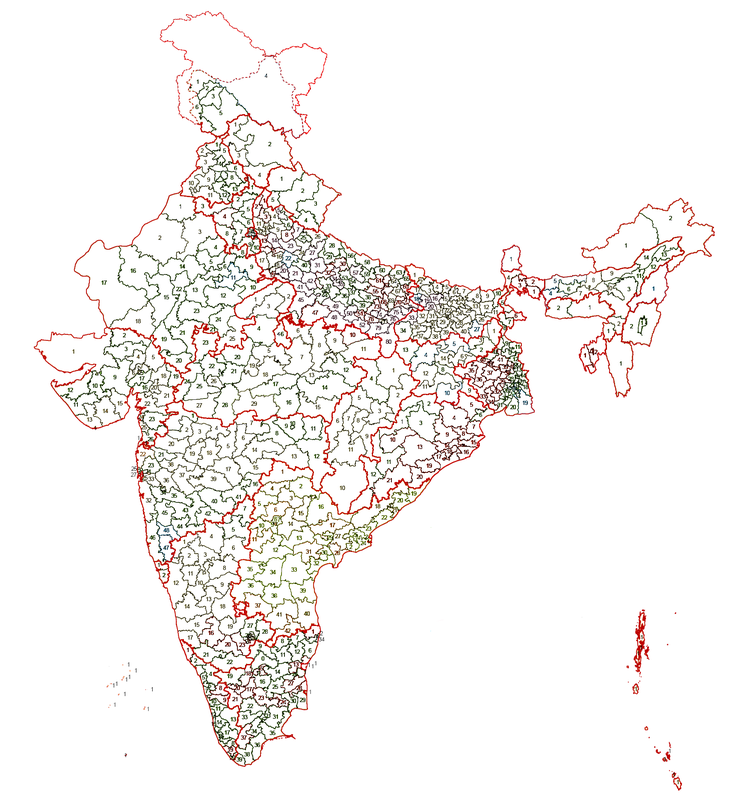 There are currently 543 constituencies.The maximum size of the Lok Sabha as outlined in the Constitution of India is 550 members made up of up to 530 members representing people of the states of India and up to 20 members representing people from the Union Territories on the basis of their population. 6 Madhubani None Harlakhi, Benipatti , Bisfi, Madhubani, Keoti, Jale. 3 Gwalior None Gwalior Rural, Gwalior, Gwalior East, Gwalior South, Bhitarwar, Dabra (SC), Karera (SC) , Pohari. 4 Guna None Shivpuri, Pichhore, Kolaras, Bamori, Guna (SC), Ashok Nagar (SC), Chanderi, Mungaoli. 5 Sagar None Bina (SC), Khurai, Surkhi, Naryoli (SC) , Sagar, Kurwai (SC), Sironj, Shamshabad. 6 Tikamgarh SC Tikamgarh, Jatara (SC), Prithvipur, Niwari, Khargapur, Maharajpur , Chhatarpur, Bijawar. 14 Mandla ST Shahpura (ST), Dindori (ST), Bichhiya (ST), Niwas (ST), Mandla (ST), Keolari , Lakhnadon (ST), Gotegaon (SC). 44 Kanpur Rural None Akbarpur,Raniya, Bithoor , Kalyanpur , Maharajpur , Ghatampur (SC).